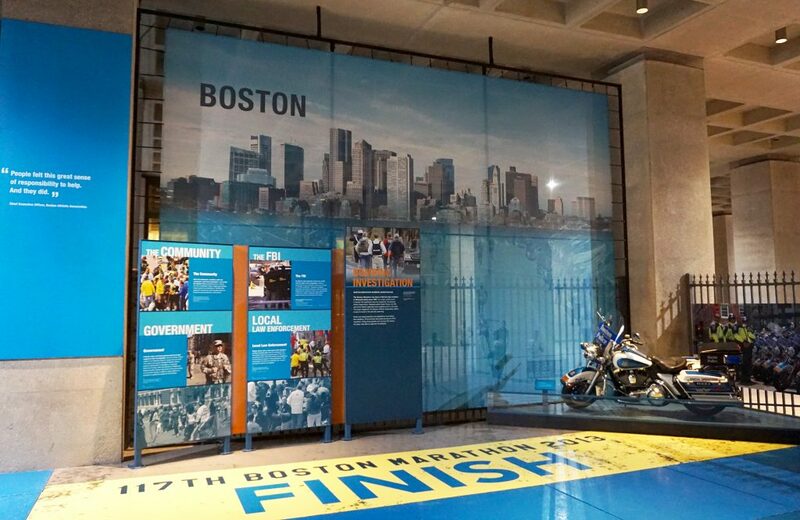 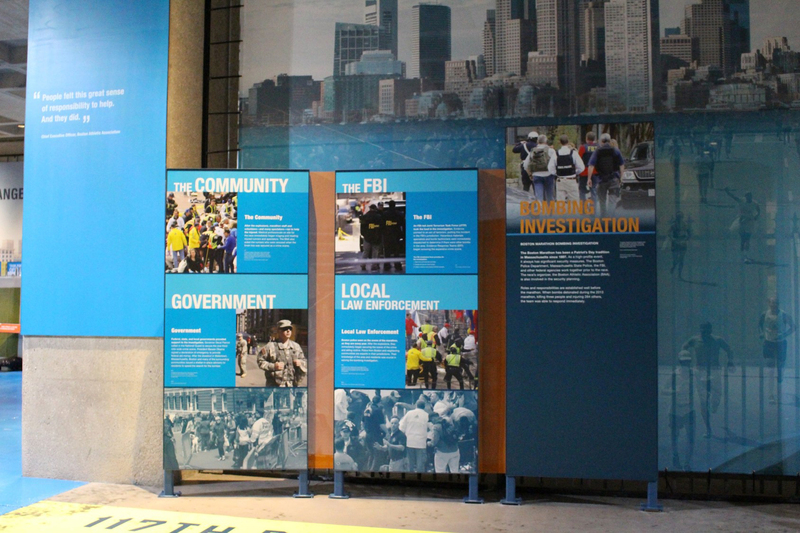 The section on the 2013 Boston Marathon bombing focused on the cooperation among the FBI, local police, the community, and the government. 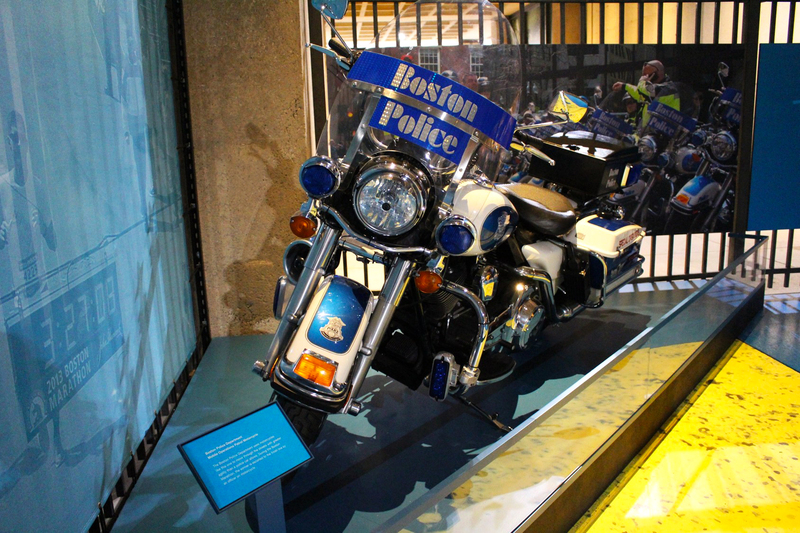 During the Boston Marathon, the winner is escorted to the finish line by an officer on motorcycle like this one. 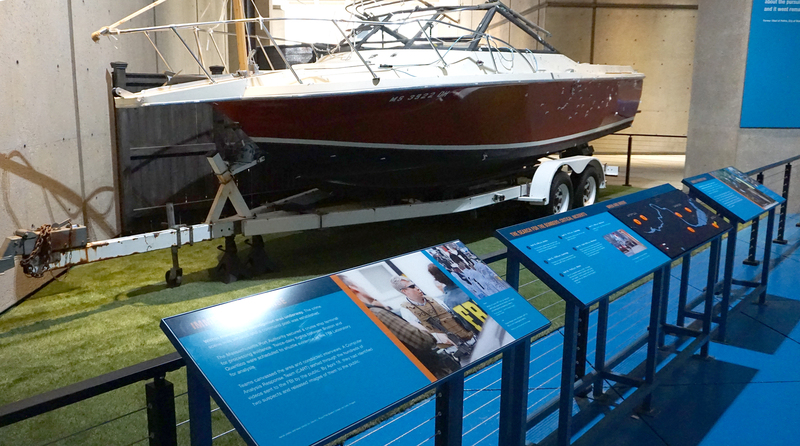 One of the bombers hid in this boat, which was in a backyard in Watertown, Massachusetts. 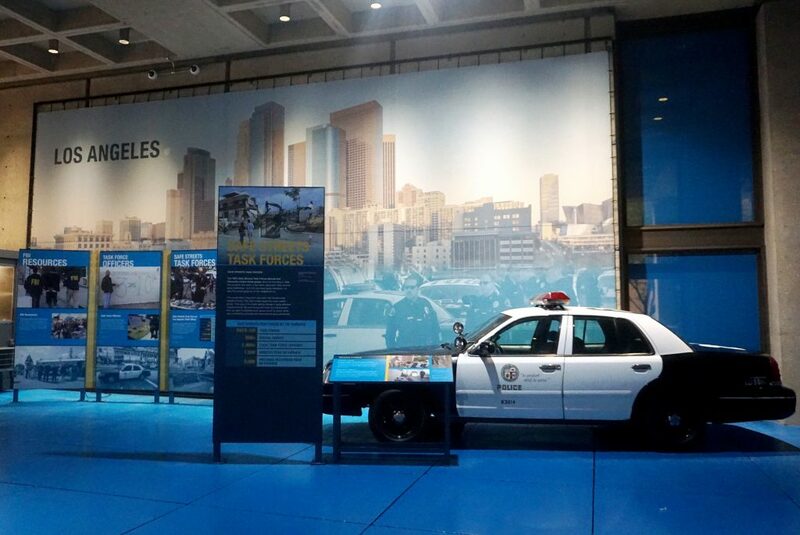 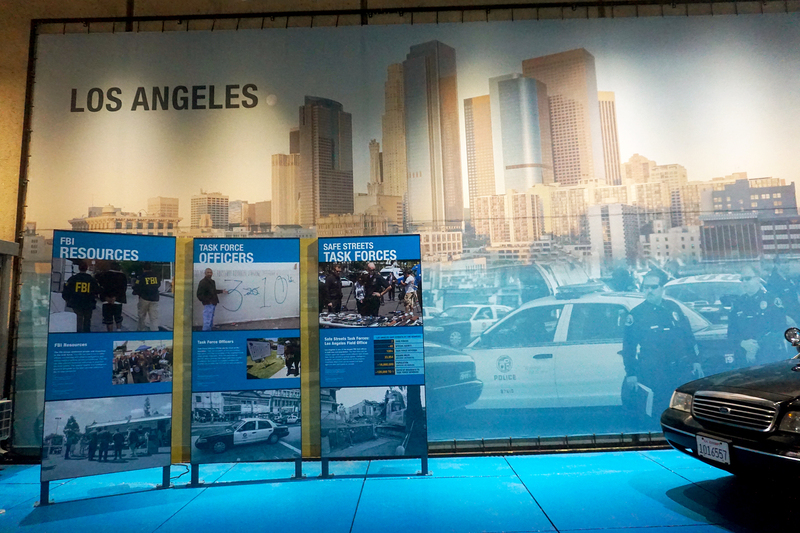 The Los Angeles portion focused on Safe Street Task Forces efforts to dismantle gangs.